Rome, Chiusi, Florence, Cinque Terre, two weeks of traveling and painting with friends. Amazing! There is really so much I could share but since this is my painting blog, I thought it might be fun to share some pages in my sketchbook (putting aside my ego because these are truly just sketches and I am a bit rusty). Days 1-3 – Explored Rome with two painting friends Suzanne Yurdin and Kathy Dansie. My first time traveling with fellow artists and how wonderful it was to share the desire to just sit and sketch. 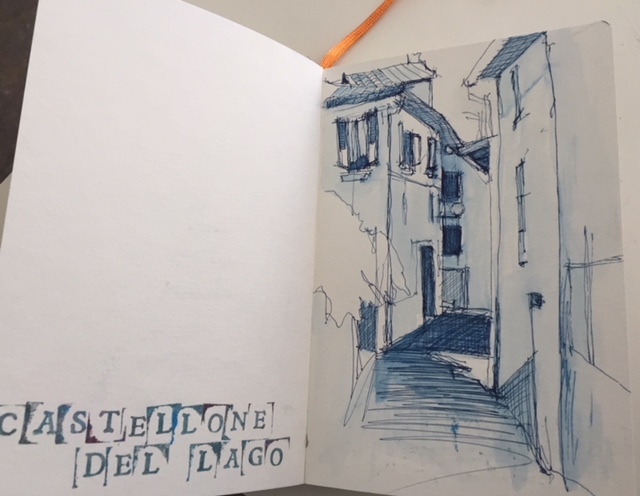 Finding cafes to drink some wine, aperol spritzes, or coffee and eat the most mouth watering food while trying to capture the experience in our sketchbooks. Delightful. Soul enriching. Pure joy. 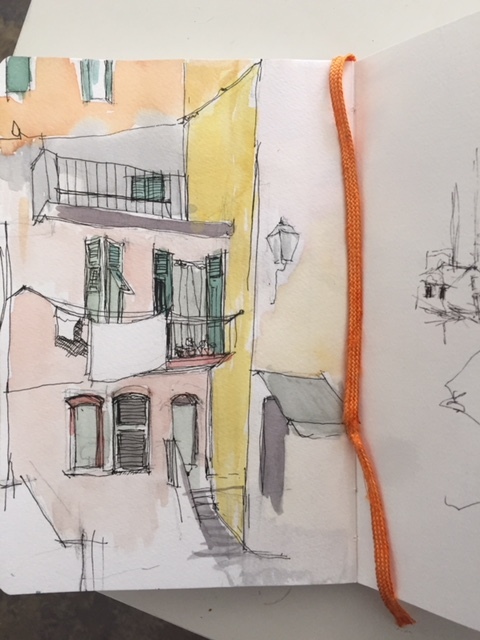 Days 4-11 – A week at the painting workshop at Artists in Italy in the hills of Chuisi with the amazing artist, teacher and art historian, Julian Hyzler. Not only is my sketchbook filled with Italian scenes, but facts and stories that Julian shared with us. He would take us to towns where all we wanted to do was sit and sketch but the fear of missing out on his wisdom kept us all by his side. His captivating storytelling was not to be missed! Days 12-17 – Travelled through breathtaking Tuscany and Cinque Terre with my super fun sister and friend, meeting all sorts of other adventurous travelers and pushing my body to it's physical limitations on some of the most gorgeous hikes I have ever taken. Even though I took over 1,200 photos I still feel like I couldn't capture the country as I saw it. Looking through my sketches and paintings immediately returns me to the sights, sounds, smells, of a country I truly love, so much more vividly than a photo ever could. I cannot wait to get back!